The Ecuadorean Government is prove that International asylum is a false sense of security. Lenin Moreno President of Ecuador Struck a deal with the U.S government to hand over Julian Assange to the British Authorities who in return will expedite Mr. Assange to a country that will imprison him for the rest of his life. This is all being orchestrated by the U.S.A government. This is a presentiment of disaster for journalist world wide. Elected American officials have applied pressure on the Ecuador government to expedite Assange for the last 18 months. 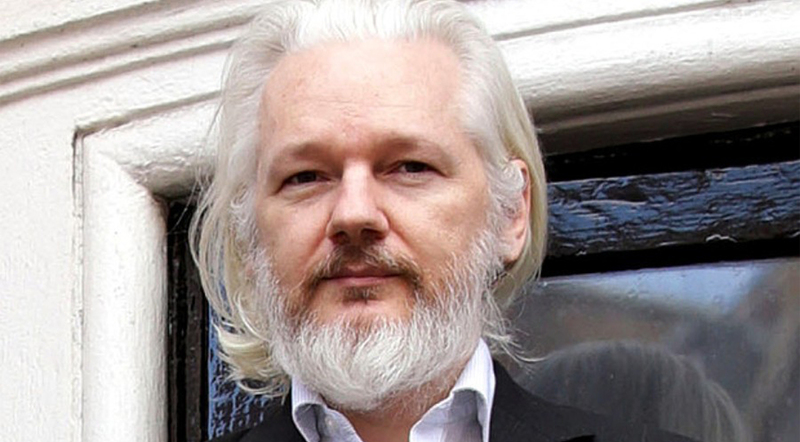 President Donald Trump will use the capture of Assange as a tool for re-election. God sent Mr. Assange to bring light to the evil being done by the American government to people worldwide including their own citizens. The lack of support from the U.K government is prove that the Brit’s are allied in the U.S efforts to keep all wrongdoings to citizens of the world Classified. Mr. Assange presented to the world, videos of killings of innocent victims and exposing war Crimes committed by the world leading economy The U.S. is Prove that we are being ruled by wicked governments. Don’t Be surprised if Julian Assange is murdered while in prison and his cause of death is a heart attack. The U.K and the U.S.A has too much to lose by allowing Julian Assange to testify in court. The reason why American citizens are stockpiling weapons and ammunition. In 2018 American citizens spent over $13 billion dollars on ammunition. These are tell tell signs that Americans are fearful and prepared to continue to kill one another at any cost. While the U.S government and media continues to paint a picture of foreign threat that doesn’t exist. In the first 100 days of 2019, the U.S has witnessed 91 mass shootings and none of these acts of violence have being reported by media outlets like CNN, Fox or MSNBC. The evil actions of the American Government has made it almost impossible for American citizens to feel safe when traveling abroad. All Across the U.S shootings, murders, burglary, police brutality, and homelessness is up.